Whenever Floyd Mayweather Jr fights, it is difficult to pull your gaze away. 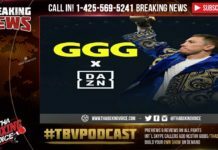 For the better part of a decade he has reigned supreme as the biggest attraction in boxing and on Saturday, September 12th he will enter the ring for what he claims will be the final time against Andre Berto. The end of the ‘Money’ era is nigh, and whatever sadness or celebration comes, as a result, will be felt for a good while afterward. Making way for that final appearance in Las Vegas, the entree to the main, will be two super-middleweights contesting for the WBC title. The champion Badou Jack (19-1-1, 12 KO’s) upset the odds to win his title back in April with a majority decision over then-undefeated Anthony Dirrell. That unexpected win came just two fights after he was blown out in the first round by Derek Edwards, showing that slip-ups do happen, and a good fighter can rebound well. The challenger George Groves (21-2, 16 KO’s) is on his third attempt at winning a world title after two defeats -one controversial, the other conclusive- in heated affairs with the now-retired Carl Froch 18 months ago. In his two wins since over Christopher Rebrasse and Dennis Douglin he has looked a shade off his best but with 10 months out of action he should be looking recharged and on point when he takes on Jack. Speaking to SkySports.com Groves spoke of how this opportunity is allowing him to fulfil his long-term goal of battling for a belt under the bright lights on The Strip, something his nemesis Froch was never able to get done. Spoiled maybe isn’t the right word considering the part he has played in creating the tense atmospheres that have surrounded his biggest fights. In his 13th pro fight, Groves took on the current IBF World super-middleweight champ James DeGale, who at that time had a record of 10-0. They were two prospects but because they shared a personal rivalry that stemmed back to their amateur days, and a palpable pressure whenever they appeared together on television to promote the fight, the UK public was roped in. Groves edged that fight on the cards. One judge had it a draw; the other two gave it to Groves by one point. Throughout the build-up to the DeGale fight, Groves showed some of his antagonistic side. 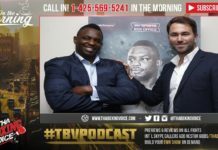 You can see when they shared the set on Sky’s weekly Ringside show how he enjoyed riling up a DeGale, who was unwilling to accept the possibility the man in front of him was his equal. When Groves stepped up to face Carl Froch for the first time late in 2013, he pushed that facet of his personality into overdrive. 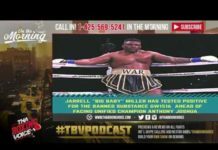 The objective manner in which he derided a champion who was fast becoming a celebrated public figure after demolishing Lucian Bute and avenging his defeat to Mikkel Kessler, was borderline shocking. Groves has shown a propensity for dealing with the pressure and attention that comes with the big stage. He lost out to Froch twice because Froch was a great champion, arguably the best the UK has ever produced. Now he is back in the media glare against a fighter who falls short of the level he has already competed at. 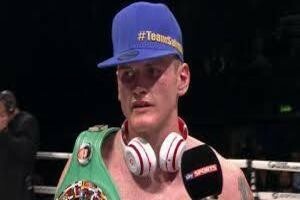 There have been no serious mind games this time from Groves aside from his usual brand of unbendable confidence. He says he is primed and ready, and Jack is just a body in his path.